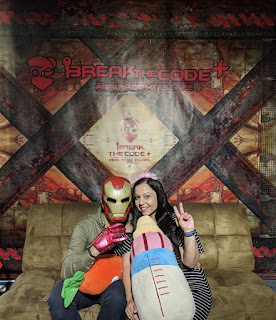 I recently took my hubby on a little date day to experience an escape room – I love being able to involve him in activities to do with my blog, and this one was certainly something different from the norm. Being a blogger and having a young family means our weekends are usually jam-packed with activities, but this one was not like anything we’ve ever done before! Escape rooms are hot right now – it seems everyone is talking about them. Lots of my friends and family have done them and loved them, so I was really excited to try one out. If you’re one of the few people who hasn’t heard about the popularity of escape rooms, the experience basically involves being locked in a game floor with only one hour to work out how to free yourself: not for claustrophobic s! You’ll be presented with puzzles and problem-solving games to help you escape – it’s a race against the clock. Our theme for the day was ‘Avatar - The Secret of Pandora’. I won’t give too much away in case you decide to go, but basically the Avatar theme puts you in the year 2090 and the earth is in crisis! Ebola-X virus is threatening the world and everyone must earn their survival. Our role was as part of a team of scientists who travel back to the Pandora Moon and retrieve information from an abandoned lab that holds the key to curing the virus. We loved it! It was a real lesson in communication and teamwork – it would be fantastic for groups of friends or even colleagues and co-workers. Hubby and I were able to communicate well, thank goodness! It really taught us to stop and work together – a nice break from being glued to our smartphones, for sure. Currently Break The Code are offering a Easter deal, so you can try an escape room yourself for less. During the Easter break, one member of your team can get in for free – perfect for families. Bring everyone* along and get stuck in something fun together, and keep your kids’ minds active even during the school break. *Note: escape rooms are suitable for ages all ages of kids - and kids under 12 get offered a discounted rate. This sounds like so much fun! I’ve always wanted to try an escape room! I might have to visit one now. I've looked into doing an Escape Room experience as I love mystery and it looks like so much fun. Glad you enjoyed it! I am dying to do this. 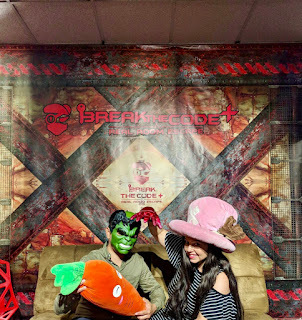 I've only done an escape room once but it was so fun! I really want to do another one! We did one in Bali - can't wait to do another!